It’s taken a long time to get here, but the garden is finally starting to over perform. 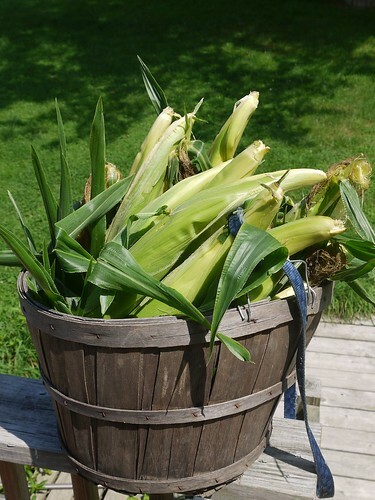 We’re getting regular harvests of beans, squash, corn and tomatoes — in addition to the lettuce, greens and brassicas we’ve been getting for some time now. It’s all really delicious. Every year seems to run a little different from the one before and maybe one year all the stars will align and we’ll do everything right. 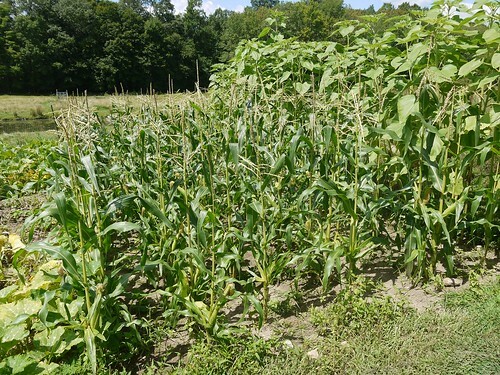 Corn in the garden. The Silver Queen variety we’re growing don’t get very tall, but seem like decent producers. 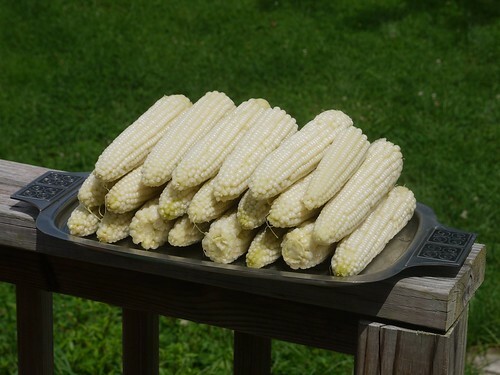 Our family (especially our children) love freshly cooked corn. In a pinch, we had to use the kid’s string cheese. 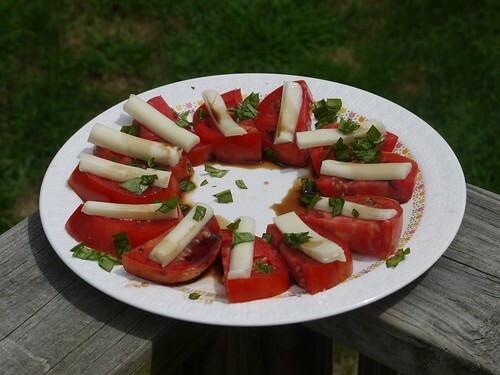 The tomatoes and basil are so delicious. 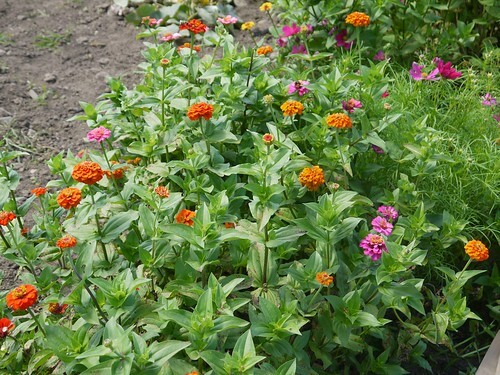 Our zinnias and other flowers are doing great. We have fresh flowers in the house all the time, though we do occasionally get the stowaway bug. 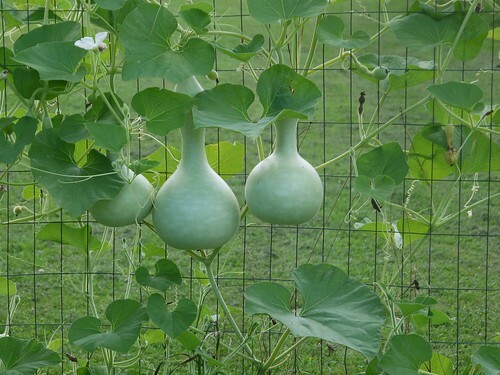 Our birdhouse gourds are so pretty. They grow really well in our garden. We need to find some more uses for these guys. Too bad we can’t eat them. Our transplanted elderberries have done wonderfully. 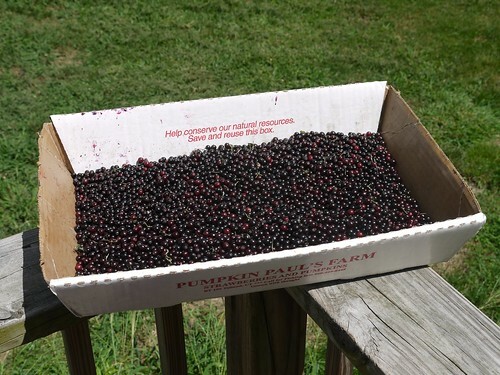 We harvested enough in just a few minutes for a batch of Pomona’s elderberry jelly. With any luck, our bounty will keep going well into the fall. 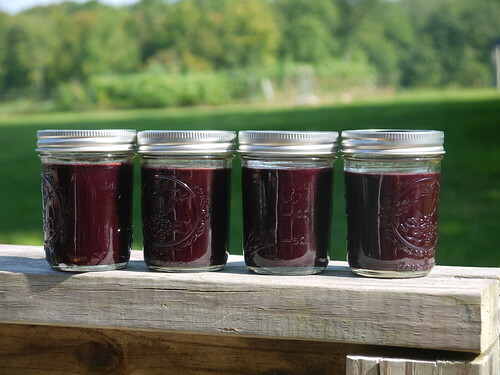 Update: our finished elderberry jelly!